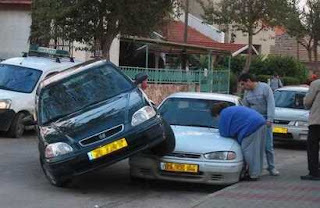 Yes, this is a good example of how not to park you car. You should usually try to avoid placing it on top of another one. Oops.